Welcome to our Halloween Invitations Page! All the invitations are ready to print and fold to make life a little bit easier for you!! The invitations are quarter, side-fold. All you need to do is print them off, fold in half and fold in quarters. We've tried to make the process as easy as possible. 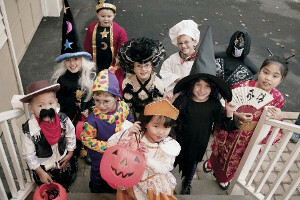 Don't miss our our other Halloween Goodies on our sister site, Game Ideas For Kids. We offer free Halloween Game Ideas and Free Printable Masks. And if your child needs a bit of extra help earning that privilege of trick-or-treating, check out our Halloween themed behavior charts!